Who is the owner of the Oglala Sioux Lakota Nursing Home (OSLNH)? The owner of the nursing home is the Oglala Sioux Tribe. OSLNH’s Board of Directors are the governing body for the nursing home. The Board will comply with the responsibilities required by federal and state laws to establish and oversee the implementation and ongoing operation of the facility.  Who is Native American Health Management? Native American Health Management (NAHM) is a Nebraska-based company that has over 25 years of experience in managing nursing homes. NAHM is under contract with OSLNH and has exclusive responsibility for the day-to-day operation, management and maintenance of the OSLNH. NAHM brings needed expertise and experience to manage the OSLNH. When is the facility expected to open? The building is currently open. We are now accepting Resident and Employment applications. How many residents may reside at the facility? 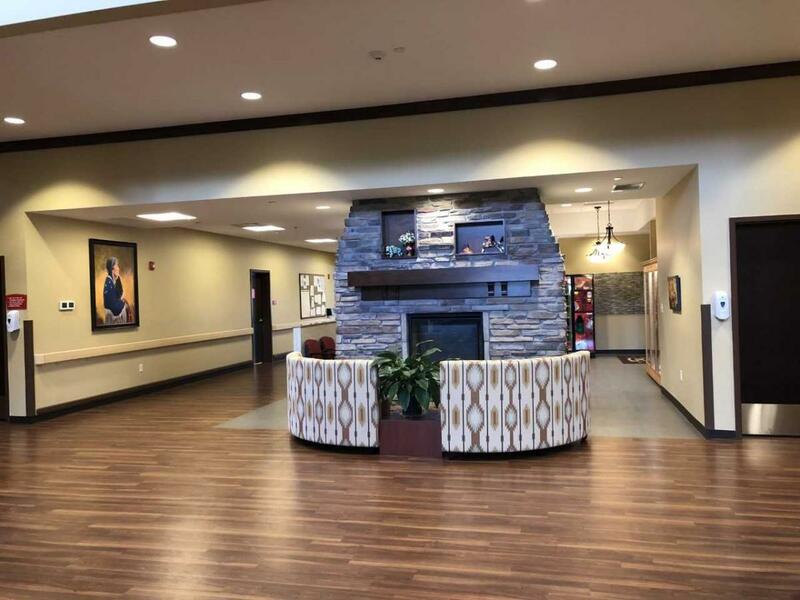 The facility is licensed to care for 60 residents. It is a combination of private and semi-private rooms. It measures almost 52,000 square feet. The design is state-of-the-art. The facility will have new and modern furnishings. All residents have windows in their room. The facility is Lakota culturally sensitive. Will residents have to pay while living at OSLNH? Yes, all residents will have to pay. There are two primary sources for payment – Medicaid and their own money. If an elder is found eligible for Medicaid, and meets the medical requirements for nursing home care established by the state of Nebraska, then the Medicaid program will pay for their care at the OSLNH. The resident might have a portion to pay if they are on Medicaid. If a person is not eligible for Medicaid, then that person must use their own funds to pay for their care at the OSLNH. All admissions must be approved by the OSLNH administrator. How do people know if they are eligible for Medicaid? Medicaid is an assistance program administered by the State of Nebraska. An application must be completed and sent to the state agency for an eligibility determination. Our Social Services department is happy to assist you or your loved one in the application process if you are not currently enrolled with Medicaid. Will only tribal elders be admitted to OSLNH? The potential resident must be enrolled in a federally recognized tribe, or a spouse of an enrolled member, and provide documentation with application. What will be the annual revenues at the facility? At full capacity, annual revenues will be approximately $8.7 million in new federal dollars. What is the salary that will be paid to the staff hired at OSLNH? We will be posting most of the positions on the OSLNH website and providing fact sheets to be available at the district college centers and at the Tribal office. Will there be an employee benefit package at OSLNH? Yes. The OSLNH will have employee health, dental, vision, life insurance, Paid Time Off (PTO). A retirement and long-term disability program will also be offered. Employees will be responsible to pay a relatively small portion of the benefit costs. The actual amount is still being worked out. Will there be hiring preference policies? Will background checks be performed on all job applicants? Yes. There is a criminal background check and an Adult Protective Services and Child Abuse and Neglect Registry Checks of Nebraska. Will there be contractor preference policies? Non-certified firms with some Native American ownership, whose principal places of business are located within the exterior boundaries of the Pine Ridge Reservation, without regard to tribal affiliation. How do I apply for a position at OSLNH? Go to the Employment tab on the OSLNH website and fill out the application and then follow the instructions to email or print off the application and either mail to the address given or drop it off in person at the Business Office. Who should persons contact if they want a family member admitted to OSLNH? You can go to the OSLNH website and submit an application or obtain an application at the tribal office. The facility is not subsidized by the Oglala Sioux Tribe, so all residents will need a source for payment: either Medicaid or they will have to pay with their own money.